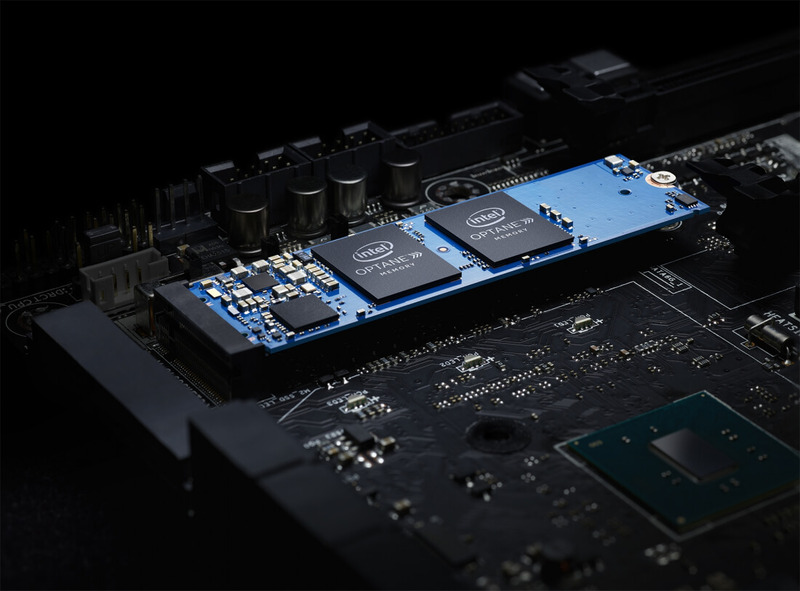 Intel's new Optane memory promises to help speed up traditional hard drives to near SSD speeds, but it won't be compatible with lower-end Kaby Lake processors. According to the official product requirements page, Optane only works with 7th generation Core i3, i5, and i7 CPUs. This is surprising since Optane is partly aimed at the budget conscious consumers who want SSD-like speeds without the high cost associated with SSDs. Optane works by creating a bridge between fast DRAM and high capacity spinning hard drives which results in faster boot times, game launch times, and a generally more responsive system. It was positioned as a huge speed increase for low-end systems, but it turns out you'll need a new and relatively high end system to use the technology. The cheapest compatible CPU is the Core i3-7100 which costs around $120. Compared to an unsupported Pentium G4620 build with a 480GB SSD, upgrading to a barebones Optane setup costs nearly the same amount. The i3 is slightly faster and the 16GB Optane module paired with a 1TB HDD would give a larger capacity of high speed storage, but this is still a hard sell for Intel to make. Intel's decision to only allow Core series processors is a bit counter intuitive. As the platform becomes more mature though, we'll see if the caching software and performance boost is enough to entice the next generation of budget PC builders. Of course, this could just be a marketing error on Intel's part and in that case, everyone would be happy.